Friendly. Reliable. Independent. Certified and verified. Owner Kris Grube established her construction business in 2003, when she began doing sustainable remodels of old Portland homes. The business was guided by the principles of maintaining a home's historic integrity while using building materials and practices that honor environmental sustainability and the health of the homeowner, our crew, and our planet. Recycling, thoughtful material choice and construction technique, as well as socially equitable employment and buying practices are significant factors in achieving our goals. Knowing that truly sustainable construction practices require a strong focus on energy efficiency within a home, Kris gained her Building Performance Institute (BPI) certification in 2009 and advanced the company focus to providing Home Performance with Energy Star audits and weatherization upgrades. Utilizing solid principles of building science and diagnostic verification to guide their work, Good Energy Retrofit has joined the construction industry leadership in providing sustainable home upgrades. Kris and the crew are proud to bring this expertise to individuals and families, and enjoy knowing that their work makes homes more comfortable, healthy and energy efficient. KRIS GRUBE is the sole owner and founder of Good Energy Retrofit. She is the mother of two sweet teenage children and a native Oregonian. Before moving into the world of construction, she was a professional social worker and provided clinical services to children and families. She often says that she now does Social Work for Homes. She was surprised when she woke up one day and realized that she had become a knowledgeable and skilled contractor. That was not her goal when she started remodeling old houses a decade ago, but as life goes, she found that her love of architecture and dedication to quality had quickly transformed into a strong understanding of building structures and construction technique. She wanted her work to always respect its impact on the earth and the health of the occupants, and that eventually moved her in the direction of developing a strong understanding of sustainable building practices and becoming an expert in energy efficiency. 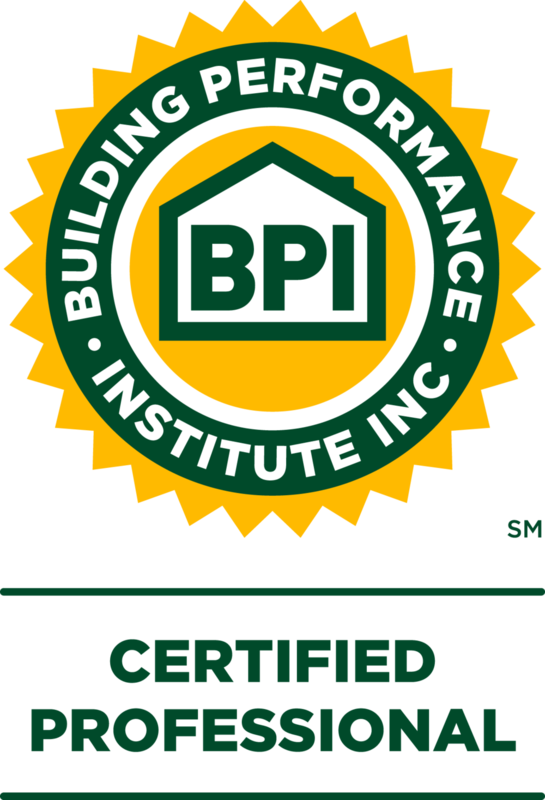 Energy Efficiency and Construction Certifications held by Kris: Building Performance Institute (BPI) professional certifications as an Energy Auditor, Enveloped Specialist and Multifamily Building Analysis. Performance Tested Comfort Systems (PTCS) Duct Testing and Duct Sealing. Environmental Protection Agency (EPA) Refrigerant Handling. Northwest Energy Education Institute (NEII) Solar Hot Water Heating Technician. She also holds several other product specific certifications as well as numerous health and safety certifications. Kris is Vice President of the Home Performance Contractor's Guild, and sits on committees working to strengthen equitable employment practices in the energy efficiency trades and advocacy for effective energy policy. Outside of business, Kris loves to ski with her kids and is an avid traveler. She has visited many corners of the world and hopes to see much more. Kris speaks French and lived in France when younger. When the sun is out, you will often find her in her garden which has become one of her favorite places in the world. GREG LASHER is the General Manager of Good Energy Retrofit. Before joining GER, Greg worked on hundreds of homes in the Portland area retrofitting them to stand as some of the most efficient in their neighborhoods. A big fan of the Passive House standard, Greg brings some valuable experience with advanced energy retrofits. Greg holds many certifications in building science including 3 certificates with the Building Performance Institute, PTCS, and has a masters in Environmental Policy. In a previous life, Greg ran bookstores and thoroughly enjoyed working with writers, artists, and musicians. Eventually, Greg's love for building took over and he joined the vibrant green building community here in Portland. Having completed a deep energy retrofit on his own family's 1920 home, Greg would love to talk to you about all the nerdy details of how the home's systems perform. Greg may be one of the few people you know that eagerly awaits the arrival of his utility bills, celebrating how they continue to fall in price. When not reading building science blogs, Greg spends his time with his wonderful wife and child and can be seen riding around town in their box cycle. Good Energy Retrofit, Portland, OR. Enhabit & Energy Trust of Oregon contractor helps save energy with energy audits & home energy efficiency upgrades to your home. See what our customers are saying about us? Video: Choosing Energy Efficient Lighting Based on Lumens. Upgrade Your Refrigerator, Save Money Twice. As an approved trade ally contractor of Energy Trust of Oregon, we are qualified to improve the energy efficiency and comfort of your home.